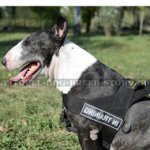 How to Choose the Best Pitbull Chain Link Collar? 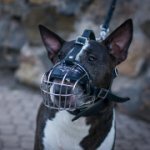 Choke chain collars are intended for Pitbull behavior correction. They are not used to start obedience training. Don't use a choker to make Pitbull behavior training easier for you. 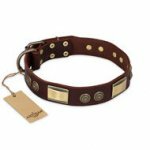 This type of collar is useful to correct behavioral issues only. They are: disobedience, pulling on the leash, jumping and attacking people and animals. 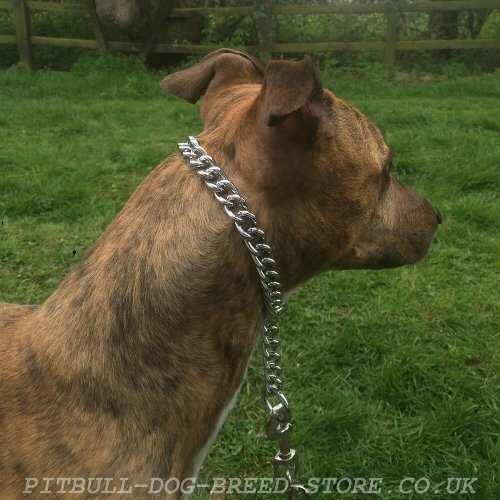 Choke chains are also suitable for Pitbull rings. They don't distract attention from the dog's exterior. 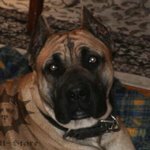 How do choke collars work? A collar is a chain with 2 rings at the ends. It is put on over Pitbull's head. 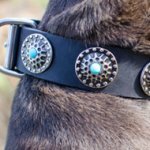 One ring is loose to slide and tighten the chain around the pet's neck when it disobeys. The other ring is fixed and serves for lead connection. 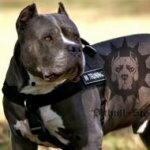 The chain is tightened only if Pitbull pulls on the leash. It is loosen when the dog steps backwards. 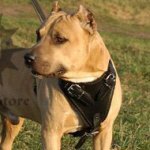 Pitbull chain collar may also act as a usual walking attribute if to attach the lead to the loose ring. 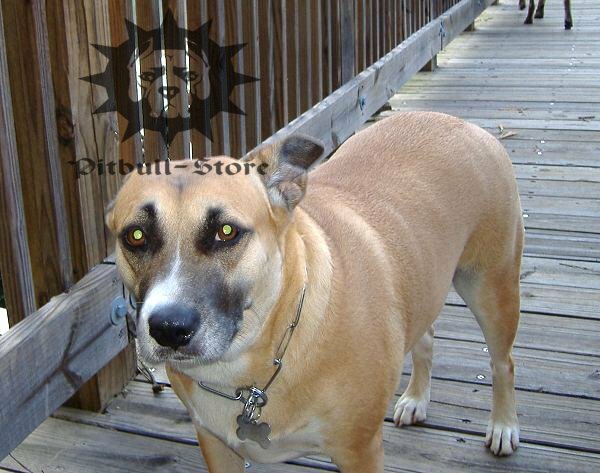 Pitbull dog chain collars looks nobly because of their glossy look. That is why the chains are widely used for dog shows. Choke chains are produced with small and large links. 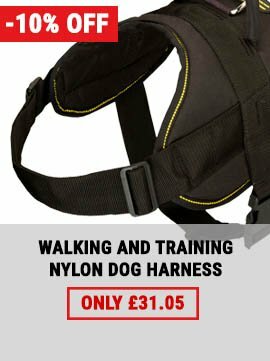 Which one will be more suitable for your dog? 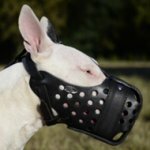 Chain collar with small links is for medium breeds. 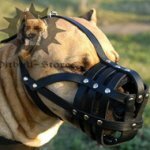 The chain is high-tensile and resists pulling power of a strong Pitbull. 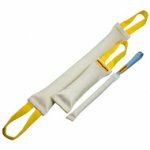 The collar slides easily and acts accurately. 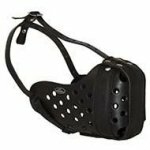 This is a high-quality and stylish tool for harmless and effective Pitbull corrective training. Long link chain collar is for large and powerful dogs. 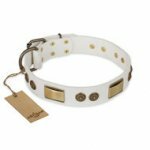 The collar is a fur saver because it keeps the pet's hair in excellent condition. The links don't tear off or tangle the dog’s coat. 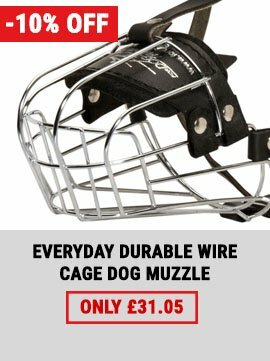 The collar is break-resistant and dependable. It glides effortlessly and works fine. 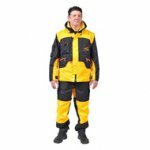 Both collars are made of steel and plated with chrome to be rustless and solid. The coating is even and shiny. All the links are weld, highly-polished and the chains are safe for the dog. 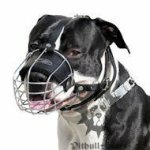 It is forbidden to train Pitbull puppy under 6 months with the choke collar to avoid neck and trachea traumatizing. Choker is pulled over the dog's head. Its size should be larger Pitbull's head circumference in the widest part below ears and a jaw line. 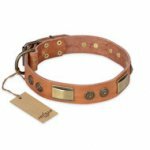 Optimal collar length is the dog's head girth plus 2-3 inches. 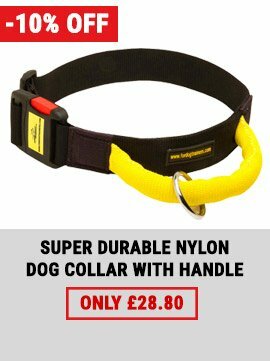 Suitable collar won't choke and will be safe for the dog. 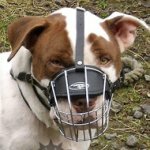 Choke collar is not for daily walks. You mustn't jerk the choker during training. You have to show Pitbull that it is you who change the direction of moving. Hold the leash closer to the collar, walk with measured steps than change the way abruptly. Thus the lead is tensed and Pitbull is uncomfortable. Then you loose the leash and praise the dog with treat, stroking or in words. Don't leave Pitbull alone with the collar on. Consult a trainer before getting the choker and use it on the advice of a professional and if required under his supervision. 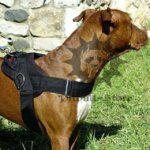 Whichever choker you choose, you get a reliable tool to correct Pitbull behavior and to take part in shows. Feel free to contact us if you have questions.